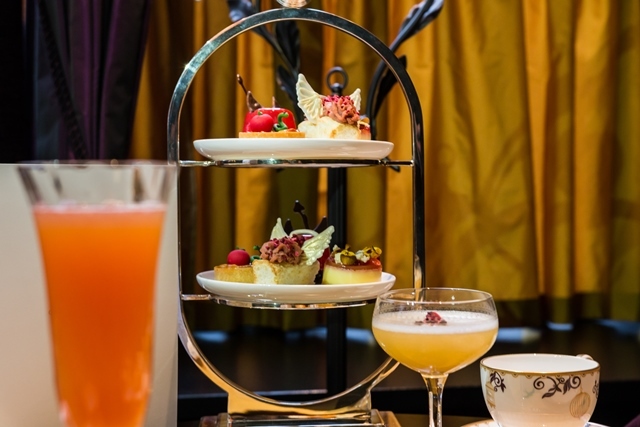 On Monday 1st April, the opulent yet informal Café L’oscar will launch its first Afternoon Tea, offering guests an array of sweet and savoury treats. Following the Saint & Sinner theme of the upstairs cocktail menu at The Baptist Bar, the tea remains in-keeping with the quirky and expert food and beverage offerings throughout L’oscar hotel. Overseen by Executive Chef Tony Fleming, the menu complements the hotel’s decadent style whilst heroing British flavours and ingredients. The Saint & Sinner Afternoon Tea offers traditional sweet and savoury bites with a contemporary twist. To start, guests can enjoy Religieuse buns followed by sandwiches filled with the likes of Devilled chicken and Poached salmon, virgin olive oil and beetroot bread. For the sweet treats, delicacies include Adam and Eve’s pudding, Devil’s food cake and Saint Nectaire and blood orange cheesecake, followed by traditional scones with cream and jam. Guests can choose whether to become a saint or sinner with their crucial drink choice. Saints are offered an extensive tea selection, featuring Jasmine Silver and Wild Rooibos, bringing the price of the tea to £38. Sinners, however, are offered indulgent tea-based cocktails, including Charon au champagne with Rooibos tea infused Ketel one, blood orange and champagne and Eden Pomona with Lemon verbena infused Ketel one, rhubarb and apple juice, plum bitters, bringing the price to £60 including three cocktails. The tea also supports chosen local charity Rhythms of Life, donating £2 from each tea sold. 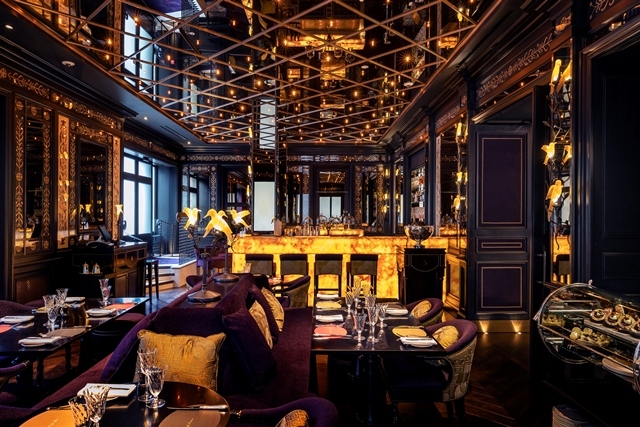 Café L’oscar is situated in the extravagant L’oscar hotel, in the former headquarters of a Baptist church which has since undergone an elegant conversion under designer Jacques Garcia. 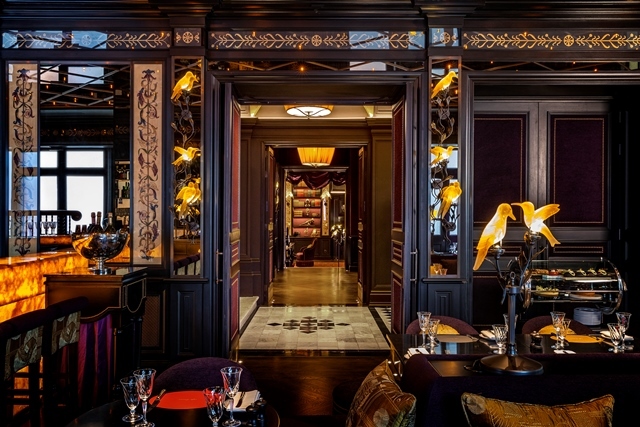 Inspired by Oscar Wilde and the glamour of the Oscar ceremonies, the hotel and Café are filled with lavish interiors with deep purples and rich reds hues throughout. Café L’oscar features a showstopping illuminated onyx bar, alongside glamorous mirrors, gilded panels and original art to create the charm and sophistication of a Parisian café in the heart of Holborn. Tony Fleming and his team are excited to be launching the new and exclusive afternoon tea at Café L’oscar, adding to their luxury food and beverage offerings throughout the hotel.